It was a usual morning, with stress and work levels being lower and more managed than they had been during recent days. I was quite productive, and was happy with how the day was moving along at that point. 1. My coffee cup was nearly empty. 2. I needed to do a blood test, because it had been a while (and I wasn't wearing my Dexcom). At that moment, I didn't feel like standing up or even moving my arm across the length of the desk to grab my USB meter, stab my finger and check my sugar. I was just feeling lazy, or too comfy in my office chair to disrupt the flow of things. "Maybe.... I can just will it to show me a number. And maybe the coffee will refill all by itself." I waited, and neither happened. Sighing, I reluctantly grabbed my meter and stuck a strip in. Even though I was fine with doing a blood sugar check while sitting at my desk, that wasn't going to solve my coffee problem. The Riley Dog was nearby, resting behind my desk on her floor pillow. I eyed her, hoping to pursuade her with my mind to go fetch me more coffee. Sadly, that didn't work either. I sighed, turning my attention back to my blood test by poking my finger and applying the blood to the end of the strip. Unfortauntely, I had waited too long. 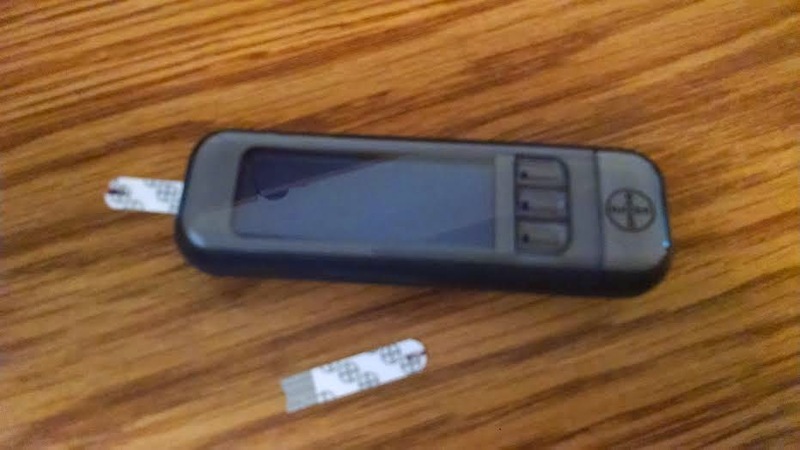 The Jedi Mind Trick failed, but enough time had passed that the meter had shut off automatically -- meaning my blood drop and strip were both worless. This woke the dog up, scaring her and making her come cower on the floor next to me. A second test strip, new finger stab and drop of blood, and a 278 mg/dL. This whole morning experience took less than 10 minutes, and I'm not even sure why it annoyed me (see: I was being lazy), but it just rubbed me the wrong way in that moment. Yet, life went on. And I went to refill my own coffee, to get my chi back on. Oh, and then 15 minutes later, I remembered to actually push the insulin pump buttons since apparently my telekenis was still not working. Damn diabetes... It's always the little things that get to you, even when they shouldn't. It costs a lot to stay alive when you have type 1 diabetes, and without insulin that just won't happen. During my latest prescription refill routine, the full cost of all this truly hit me. 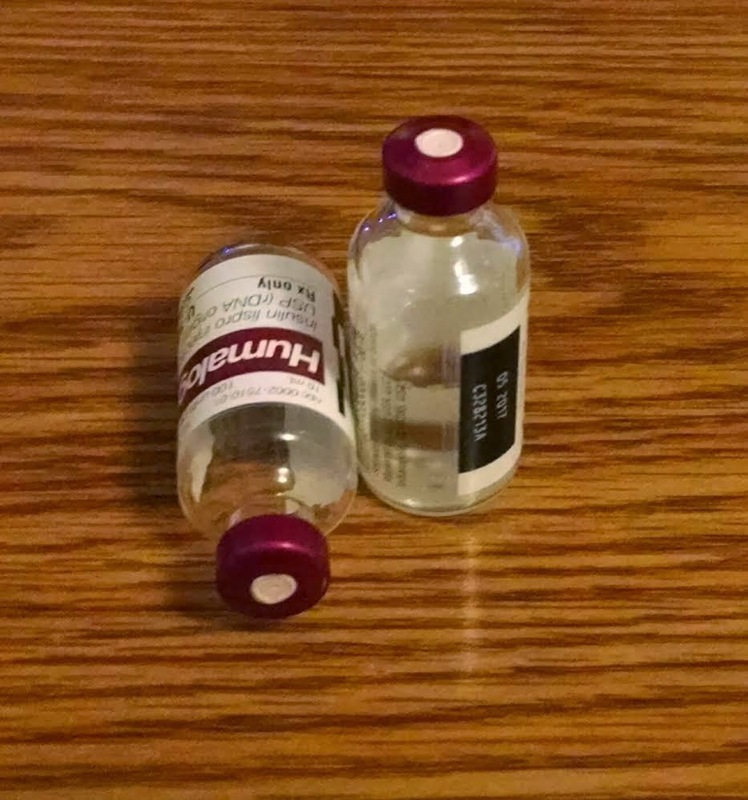 My insulin cost $208 per vial, without any insurance coverage factored in. I ended up paying half that amount per vial -- certainly a deal, thanks to insurance. 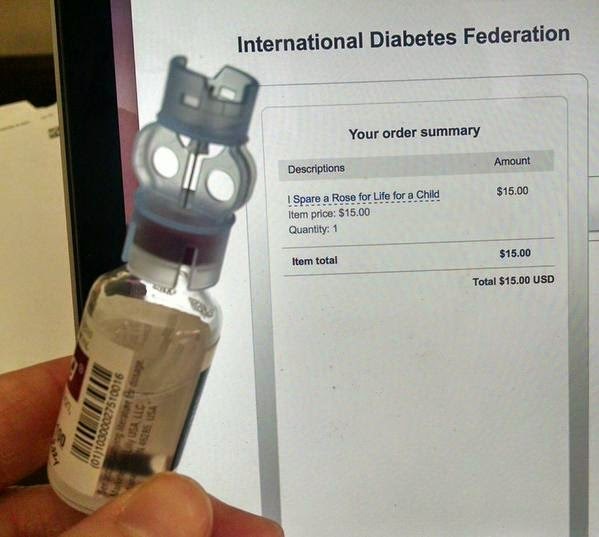 Still, it cost me $314 to get my monthly 3-vial supply of insulin. And that amount is certainly higher than it was last year, and the year before that... it's gone up more than 50% in the past few years. All because Big Pharma is in a quickly-approaching insulin war, with patents expiring and they are trying to bring in as much money as they can before those patents expire and pave the way for lower cost, more generic insulin (should someone actually be able to develop and market something like this, which isn't expected anytime soon). As a result, we're all being milked dry just to get the medication we need to stay alive. It's ridiculous. After leaving my pharmacy, I was angry. Walking through the rest of the store aisles picking up some necessities (like coffee, OJ and some chicken noodle soup thanks to sickness in the house), I stewed about the high cost and grumbled to myself. In the checkout aisle, a $6.99 bottle of Merlot called my name and insisted I buy it. After all, if I've just spent $314 on insulin plus $35 on other prescriptions, an extra $7 to calm my nerves is certainly no big deal. To me, that's as much a part of the prescription cost as the insulin itself. Leaving the store, I took to Twitter to co-miserate about the high cost of insulin and how it always seems to be skyrocketing. Others shared in the grief, with their own tales of understanding. 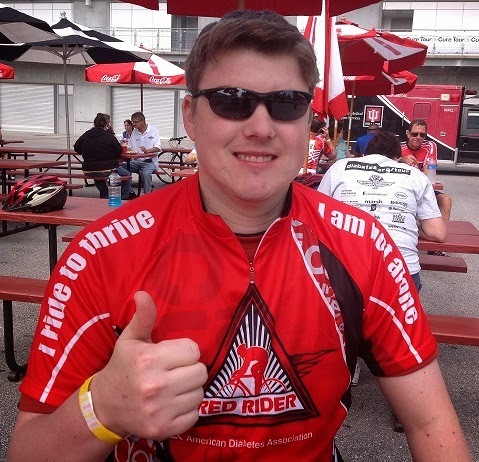 Then, I started feeling guilty about my response to the costs of insulin. Yes, it cost a lot in my world. But I'm lucky, because I have access to insulin. I can afford it, to the extend that it's "affordable," and I am fortunate to have a pharmacy near my house, insurance coverage to help ease the retail price-tag, and a good-paying job to provide that insurance and money for my insulin-buying needs. Soon enough, my anger over my insulin cost and guilt about feeling that way transformed into outrage about how inaccessible insulin is across the globe. That 94 years after it was invented, insulin isn't available to everyone who needs it and diabetes is still a death sentence for so many. This pissed me off to no end. 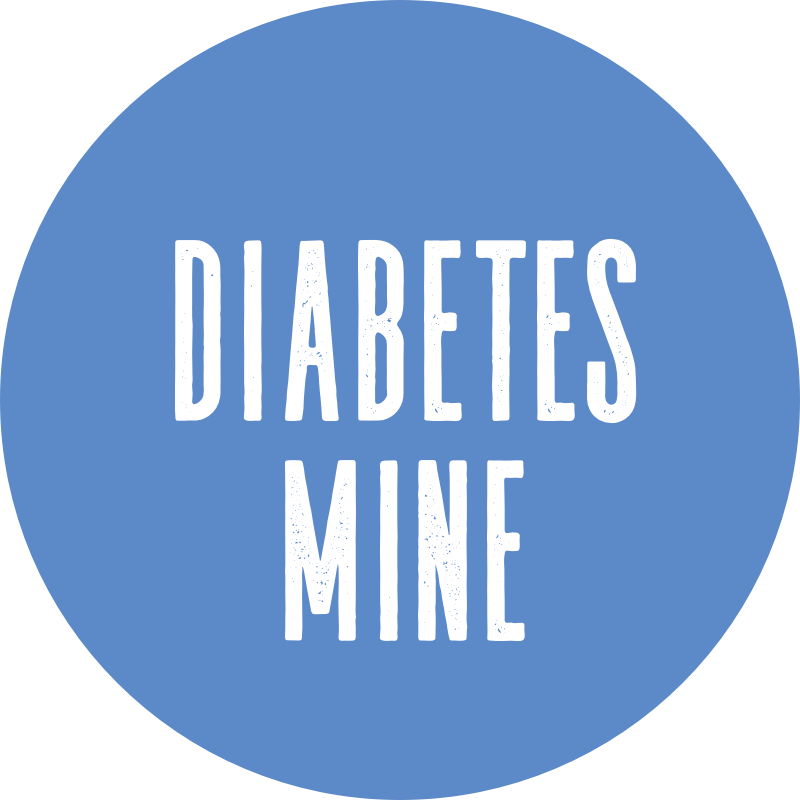 And so, I decided to appreciate all that I have and make a contribution to a charitable cause that helps get insulin to kids with diabetes in developing countries. The third annual Spare A Rose, Save a Child campaign is going on now through Valentine's Day, and all the money raised for this great cause goes directly to the International Diabetes Federation's Life for a Child program. I've been proud of this initiative for three years now, and so I thought this was a perfect time to give back a little more. Right after I stuffed my three vials of insulin into the butter compartment at home, I made a $15 donation to #SpareARose -- that's three months of life for a child with diabetes. Totally worth adding that $15 on to the cost of my insulin prescription, bringing the grand total to $336. And so, that is what it cost me this month for insulin. No, I'm not even going to delve into the insulin pump supplies and syringes still needed, as that just adds even more to the overall cost. That's for another time. It costs a lot, but I'm glad I have the access and affordability that I do -- even if it means needing a little wine, social media, and global giving perspective to bring it all together. 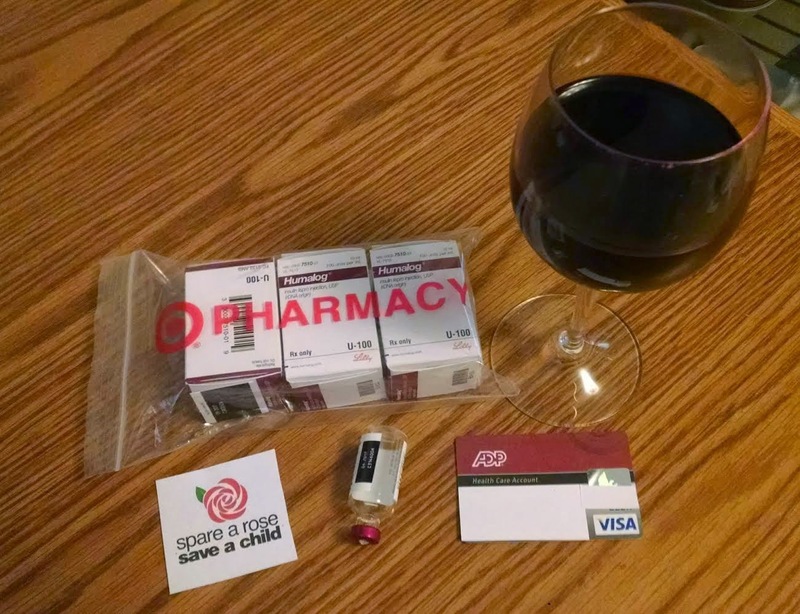 Buy some insulin, drink some wine, donate to a good cause because you can.